VAUXHALL PART NUMBER: 13311781 -. GENUINE VAUXHALL PART -. 1.6, 1.7 DIESEL FUEL PUMP (IN TANK). VIVARO BOX. VIVARO COMBI. TRAFIC II BOX. TRAFIC II BUS. TRAFIC II PLATFORM/CHASSIS. VIVARO PLATFORM/CHASSIS. auxiliary heater. to Chassis No. : 4Y702730. Part Numbers: 93174538, 1815049. For Vauxhall Vectra C (02-08)Z22YH Petrol Engine. For Vauxhall Astra H (04-10)Z22YH Petrol Engine. For Vauxhall Zafira B (05-11)Z22YH Petrol Engine. For Vauxhall Signum (03-08)Z22YH Petrol Engine. Part Number: 0445010155. Manufacturer: Vauxhall. FGP Injection pump. Genuine used part removed with expert care and tested where possible. You will receive the part shown in our photos. Used item. Tested and in full working condition. Also be 100% sure your car has been correctly diagnosed. 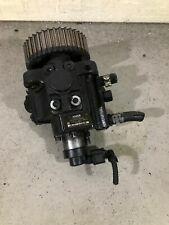 VAUXHALL INSIGNIA ASTRA J 2.0 DIESEL A20DTH HIGH PRESSURE FUEL INJECTION PUMP. Manufacturer: Vauxhall. Part Number: 96624017. Genuine used part removed with expert care and tested where possible. Manufacturer: Vauxhall. Genuine used part removed with expert care and tested where possible. Part Number: Not Required. Genuine part not used but is corroded - shown in picture. Manufacturer: Vauxhall. Genuine used part removed with expert care and tested where possible. Manufacturer: Vauxhall. Genuine used part removed with expert care and tested where possible. Part Number: 0 280 160 615. 1.8 Dualfuel [ 2000 to 2005, [Z 18 XE], 1796cc, 125BHP ]. to construction year: 01/06/2005. from Chassis No. : X1166420. to construction year: 01/08/2000. from construction year: 01/09/1998. 1.8 i 16V [ 1996 to 2000, [X 18 XE1], MPI, 1796cc, 115BHP ]. 1977 Year Corvette C3 - Stingray FuelCap - Gas Cap - Sorry no key. Steve Strange. ASTRA MK III. ASTRA MK III CONVERTIBLE. ASTRA MK III ESTATE. ASTRA MK III HATCHBACK. ASTRA MK IV ESTATE. ASTRA MK IV HATCHBACK. ASTRA MK IV SALOON. CAVALIER MK III. Compatible with Vauxhall - PETROL ENGINES Genuine GENERAL MOTORS part. Manufacturer: Vauxhall. Part Number: Not Required. Genuine used part removed with expert care and tested where possible. Manufacturer: Vauxhall. Part Number: 580453509. Genuine used part removed with expert care and tested where possible. C 16 SEL, X 16 XEL, Z 16 XE, Z 16 XEP. C 25 XE, X 25 XE. ENGINE TYPE. X 16 XEL, Z 16 XE. FUEL FLAP SOLENOID LOCKING MOTOR. ref RIFILL MA 2069 (FEB1608). Item is removed from fully working vehicle. All our parts are genuine! Manufacturer Part Number 19207711. Huffines Chevrolet – family owned since 1924! There’s no need to guess if the part will fit, or to call a dealer who may or may not give you the correct part number – we are the source, and we’re here to help! Manufacturer Part Number 19300966. Huffines Chevrolet – family owned since 1924! There’s no need to guess if the part will fit, or to call a dealer who may or may not give you the correct part number – we are the source, and we’re here to help! GMC# 12641740. SUPERCEDED# 12677329. AC DELCO# 43519. Other Part Number SUPERCEDED# 12677329. Manufacturer Part Number GMC# 12641740. Interchange Part Number AC DELCO# 43519. NEW HIGH PRESSURE FUEL PUMP. Manufacturer Part Number 13589707. Huffines Chevrolet – family owned since 1924! There’s no need to guess if the part will fit, or to call a dealer who may or may not give you the correct part number – we are the source, and we’re here to help! LML / LGH Duramax ONLY. Injection Pump Drive Gear. Interchange Part Number Injector High pressure fuel pump. In most cases, we do not generate application lists. This may occur because of errors on application lists, mid-year production changes, changes to the vehicle since it was built, the fact that a car was not built for the US market, etc. Manufacturer Part Number 19300503. Huffines Chevrolet – family owned since 1924! There’s no need to guess if the part will fit, or to call a dealer who may or may not give you the correct part number – we are the source, and we’re here to help! Manufacturer Part Number 19331938. Huffines Chevrolet – family owned since 1924! There’s no need to guess if the part will fit, or to call a dealer who may or may not give you the correct part number – we are the source, and we’re here to help! Manufacturer Part Number 19179819. Huffines Chevrolet – family owned since 1924! There’s no need to guess if the part will fit, or to call a dealer who may or may not give you the correct part number – we are the source, and we’re here to help! Manufacturer Part Number 22957143. Category 1 Fuel System. Genuine OEM Yes. Part Ref# on Diagram ONLY PART REFERENCE #16 ON THE DIAGRAM IS INCLUDED. Other Part Number 22783658, 19207494, 20775089, 22833390, 19181841. Manufacturer Part Number 97780161. Huffines Chevrolet – family owned since 1924! There’s no need to guess if the part will fit, or to call a dealer who may or may not give you the correct part number – we are the source, and we’re here to help! LBZ and LMM Duramax ONLY. Injection Pump Drive Gear. 2005 - 20010. In most cases, we do not generate application lists. This may occur because of errors on application lists, mid-year production changes, changes to the vehicle since it was built, the fact that a car was not built for the US market, etc. Manufacturer Part Number 19331306. Huffines Chevrolet – family owned since 1924! There’s no need to guess if the part will fit, or to call a dealer who may or may not give you the correct part number – we are the source, and we’re here to help! 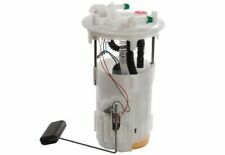 Fuel Pump Type Electrical. Huffines Chevrolet – family owned since 1924! There’s no need to guess if the part will fit, or to call a dealer who may or may not give you the correct part number – we are the source, and we’re here to help! Manufacturer Part Number 13589708. Huffines Chevrolet – family owned since 1924! There’s no need to guess if the part will fit, or to call a dealer who may or may not give you the correct part number – we are the source, and we’re here to help! Manufacturer Part Number 19300159. Huffines Chevrolet – family owned since 1924! There’s no need to guess if the part will fit, or to call a dealer who may or may not give you the correct part number – we are the source, and we’re here to help! Manufacturer Part Number 88965402. Other Part Number 19152995, 88965402, 88965426, 88965427. CX;Exc.PZEV Spec; In. 2008 Buick LaCrosse CX Sedan 4-Door 3.8L 3800CC 231Cu. V6 GAS OHV Naturally Aspirated. Manufacturer Part Number 19331937. Huffines Chevrolet – family owned since 1924! There’s no need to guess if the part will fit, or to call a dealer who may or may not give you the correct part number – we are the source, and we’re here to help!